Kasparov.ru, the Russian sister site of thetherrussia.org, is reporting that one of its correspondents has been arrested at an opposition protest in the city of Penza. On May 12, Kasparov.ru correspondent Viktor Shamaev was covering a protest in Penza held under the Day of Wrath campaign. Organizers say these protests are meant to provide a day for Russians to voice their collective grievances against federal and local officials, and participants routinely include human rights activists, political oppositionists, environmental activists, and others. Local authorities often refuse to grant permission for Day of Wrath rallies, which are subsequently cracked down on by police. Yesterday’s Day of Wrath participants in Penza held solitary pickets, the only legal form of non-government-approved protest in Russia. Immediately after Shamaev photographed local Left Front coordinator Yevgeny Makeyenko picketing outside the mayor’s office, a deputy chief from Penza Police Station #1 sent a lieutenant to ask the journalist to follow him to his car. When the officer smelled an empty can of beer, he took Shamaev to a detox center, and then to a police station where the journalist was held for three hours. It is not clear what exactly Shamaev was charged with, but according to Kasparov.ru, he had to sign all papers presented to him by police, ostensibly admitting his guilt, since he needed to take his infant child home. Shamaev worked for the police before becoming a correspondent for Kasparov.ru in 2006. Law enforcement agents have repeatedly interrogated him in connection with various incidents and have attempted to arrest him several times. 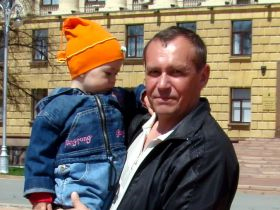 For example, Shamaev was questioned in November 2009 about the arson of the Penza United Russia office on the basis that he was among the first journalists to arrive at the scene. Human rights activists expressed concern at the treatment of oppositionists during the investigation.